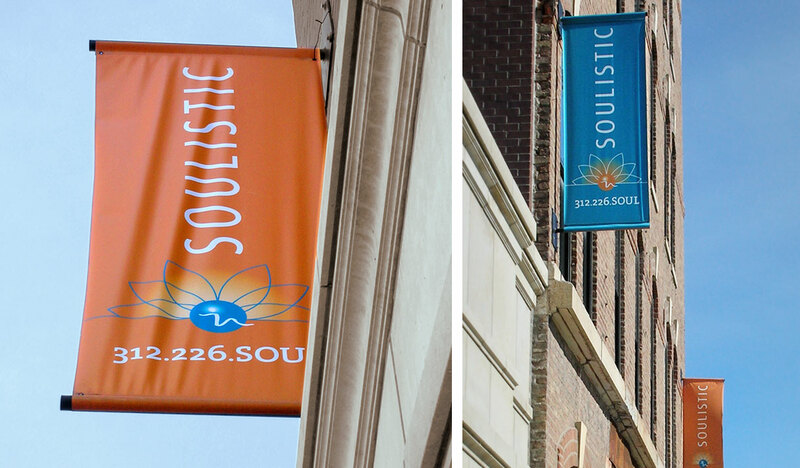 As a new business in downtown Chicago’s highly competitive market, Soulistic Studio & Spa enlisted us to create an identity and branding that would express exclusivity and promote their leadership in the holistic health community. The resulting brand embodies the contemporary, energetic aesthetic, mirrors the studio’s offerings and complements the wellness enthusiast’s lifestyle—establishing Soulistic as the fitness studio and spa of choice for its youthful, seriously health-conscious audience. Based on research and analysis, we also provided strategic counsel and a marketing plan with built-in flexibility for future growth. 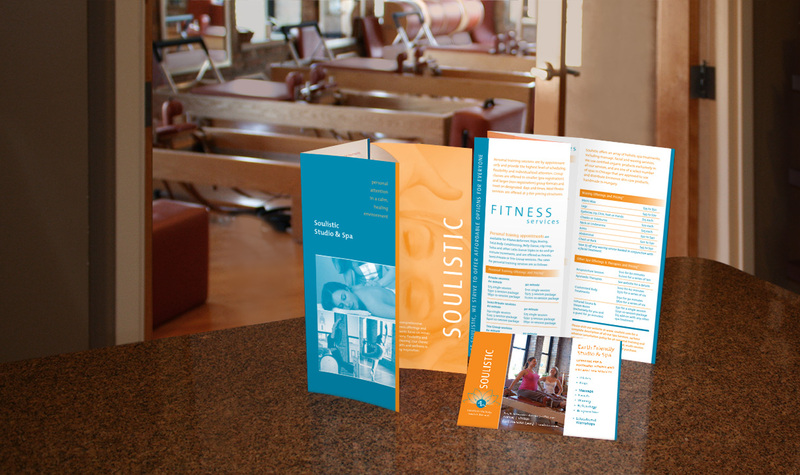 A menu of options—from an organic bamboo clothing line to street banners to business collateral—helped Soulistic maximize their budget and identify unique opportunities and marketing verticals.